EnhanceFitness Instructor candidates need to be connected to a licensed EnhanceFitness affiliate site. It is strongly recommended that EF Instructor Candidates have a foundational fitness certification such as “Group Exercise Instructor” or “Personal Trainer”, but many sites have successfully trained others with knowledge of physiology (such as nurses, occupational therapists and physical education teachers). For those newly seeking a preliminary foundational certification, Project Enhance has partnered with Fitour to provide access to a discounted online Group Exercise Instructor education in both English and Spanish. EnhanceFitness Instructor Candidates are trained by EnhanceFitness Master Trainers in a 12 hour (1.5 day) in person training. A parallel training system exists at YMCA sites nationally through Y Faculty EF Master Trainers. The instruction closely follows a written Instructor Manual which the new instructor keeps for reference. Day 2 of the training includes teachback sessions in which the new instructor can demonstrate that they have learned the program protocols. Completion of training grants access to a secure login at projectenhance.org with a variety of instruction resources, a moderated, Instructor Only Facebook discussion page, updates to the Instructor Manual and an Instructor newsletter. Additionally, in partnership with the American Council on Exercise, a deeply discounted optional online continuing education course titled “Essentials for EF Instructors” is offered. 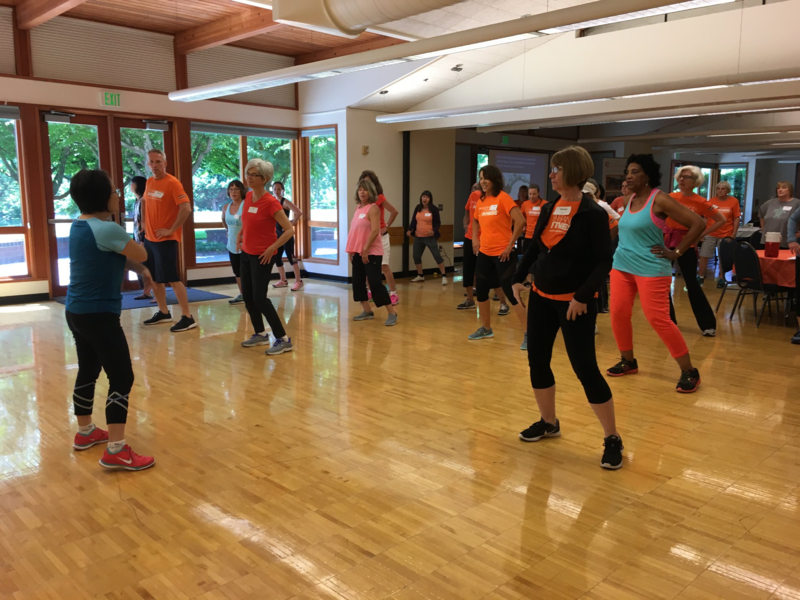 The course modules provide in-depth education on safe exercise instruction with respect to class participants’ most common chronic conditions. New Instructor trainings are scheduled quarterly at Sound Generations in Seattle, or on demand at the site of a licensee. Sound Generations assists in coordinating non Y national trainings, matching Master Trainers with training opportunities and ensuring that the training is conducted according to protocol.